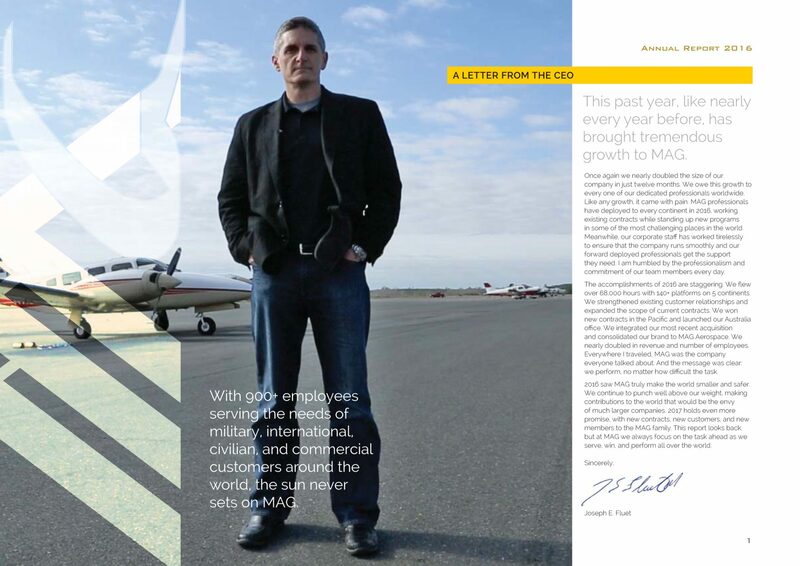 MAG Aerospace is an industry leader in providing and enabling global situational awareness to help our customers make the world smaller and safer. In 2016, MAG’s team of 900+ professionals operated 140+ manned and unmanned special mission aircraft during more than 68,000 fl ight hours on 5 continents in support of our customers’ missions. 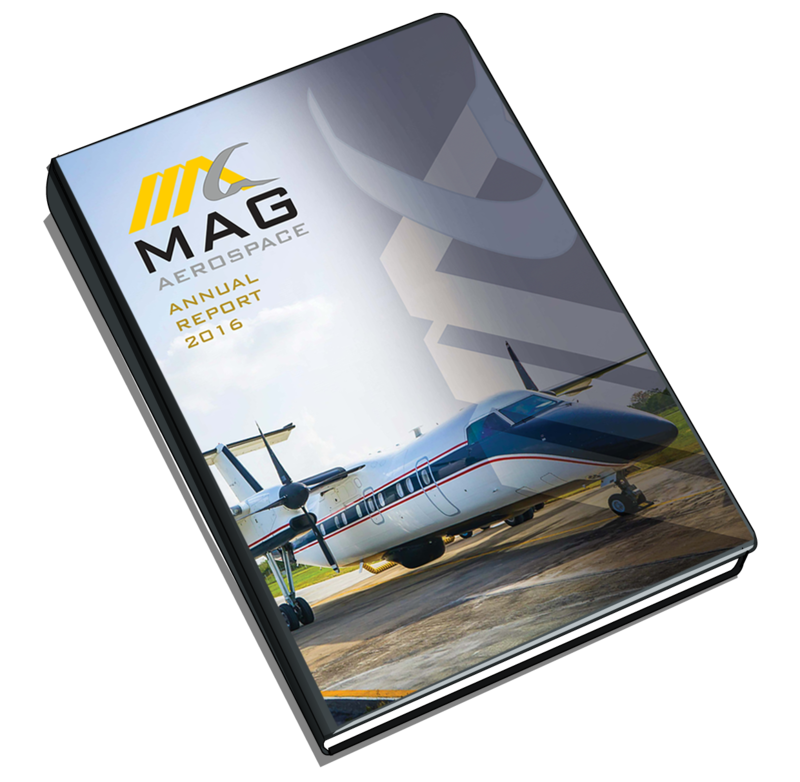 MAG’s world class tactical-technical-intelligence experts flawlessly executed manned and unmanned Intelligence, Surveillance, and Reconnaissance (ISR) operations, aviation training, and technical services to military, international, civilian, and commercial customers worldwide. Because of this, MAG has developed outstanding relationships with a diverse set of highly sought after customers and gained a proven record of past performance around the globe.